This is a rectangular Wayne Feeds porcelain sign. This particular Wayne Feeds sign is predominantly yellow with a red, white, and blue open bag of Wayne Feeds in the center of the sign. The bag reads, “I.Q. 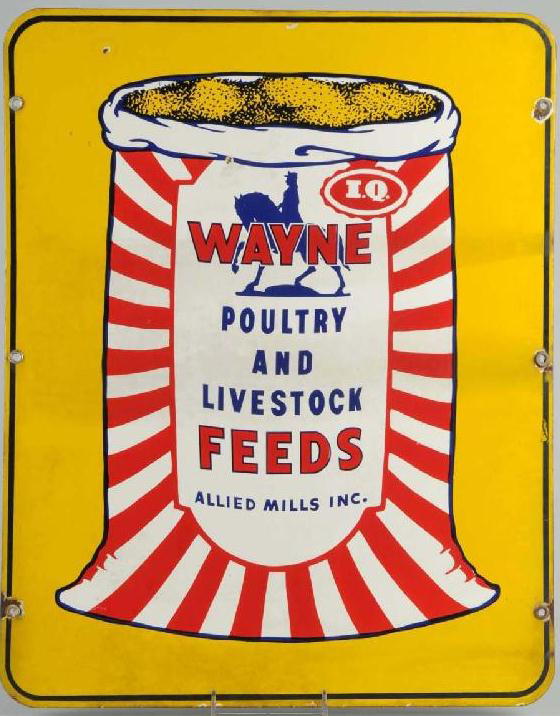 Wayne Poultry and Livestock Feeds, Allied Mills, Inc.” and features a blue man riding a horse at the top of the bag.